PinBrawl World Team Pinball Championships – Returning at PAPA 16! - PinBrawl World Team Pinball Championships – Returning at PAPA 16! PinBrawl World Team Pinball Championships – Returning at PAPA 16! 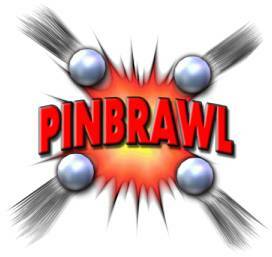 PAPA, IFPA and MPE are proud to announce that PinBrawl will be returning on Wednesday, August 7th, 2013, in conjunction with the PAPA 16 World Pinball Championships. PinBrawl is the ultimate team pinball competition featuring teams of 4 players. Although the competition in PinBrawl is as fierce as any other tournament around, PinBrawl has always been about FUN first. PinBrawl also features many different skill levels of play, with our last tournament having an A/B/C/D/E division. Anyone from pinball wizards to beginners has a chance to not only walk out with some great prizes, but as champions. At the end of the day, PinBrawl is all about camaraderie. Competitive pinball is usually a solitary sport, and PinBrawl has made it possible to play in a group with your closest friends, and meet tons of other people throughout the matches during the tournament. Many players will say that it is the best tournament they’ve ever played in, so don't miss your chance to get in the action! Registration for PinBrawl 2013 is $10 per player ($40 per team), and we are limiting registration to 3 divisions for our first year back (24 teams total). Please contact the IFPA at ifpapinball@gmail.com about signing up your team. More details on the format, rules and schedule will be up shortly at http://www.pinbrawl.org.